This site will say about the ALL KERALA MOHANLAL FANS CULTURAL AND WELFARE ASSOCIATION. All Kerala Mohanlal Fans Association Is one and only association of mohanlal fans. We give full support to the great actor Mohanlal and to his film. Fans association arrange huge celebrations in theaters when the reliecing of film. You can see the real celebrations in theaters at the time of reliecing of a film. All kerala mohanlal fans association is the biggest and strongest fans association in kerala. Mohanlal fans association have many active units in all over kerala and Mumbai too. Mohanlal fans is the new face of the youth. "FANS ASSOCIATION IS THE ASSOCIATION OF FANS FOR THEIR HEROES"
The mohanlal fans association is started from the place "Chenkal choola". But till 1998, We have not get the Permission from the Hero MOHANLAL. 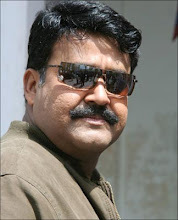 Mohanlal give the permission to the fans at the time of shooting of film "HARIKRISHNANS". Then the Mohanlal fans association changed in to "All Kerala Mohanlal Fans Association"
Mohanlal fans take care mohanlals film from the day of reliecing. There have a meeting for each fans units before the reliecing of a film. In this meeting we plan the celebrations of reliecing day, Collecting the number of fans coming that dayand we plan other promotional work for film. their flex boards on theaters.